Orchid show by Missouri Botanical Garden: It is held from 28th January, 2012 to 25th March 2012. It consists of around 800 types of orchids in the natural landscape of the garden. Asia Pacific Orchid Conference: It is held at the Tropical Dream center in Okinawa, Japan from February 2-11, 2013. Portland Orchid Society: Its orchid show is held in February from 22nd to 26th at Portland Expo Center in spring. Pacific Orchid Exposition: It is held from February 23rd to 26th, 2012 from 10:00 am to 6:00 pm at Fort Mason Center Festival Pavilion, San Francisco. It displays around 150,000 types of orchids from across the globe. Niagara Frontier Society Annual Show and Sale: It is held on February 25th and 26th at Buffalo and Erie County Botanical Gardens, New York. It offers orchids for sale. Nakhon Pathom Orchid Show: It is held in March 2012 at Sanam Chandra Palace, Thailand. It will display tropical and exotic hybrids of orchid flowers. Taiwan International Orchid Show: It is held from 3rd March to 12th March at Taiwan Orchid Plantation, Taiwan. The show exhibits rare orchids and provides orchid nursery tours. Santa Barbara International Orchid Show: This show is held at Earl Warren Showgrounds, Santa Barbara. It is held from March 16-18, 2012. The timings are 9:00 am to 5:00 pm. The show not only displays various orchids but also has a best orchid photo, orchid floral arrangement contests. The ticket is priced at $12 for general public, $10 for student with ID and seniors and free for children. International Orchid Show and Sale: It is held from March 23rd to 25th, 2012 at Longwood Gardens, Pennsylvania. 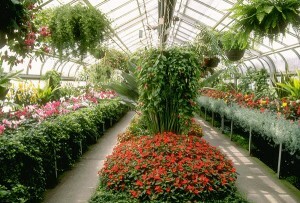 Lauritzen Gardens – Omaha’s Botanical Center: Twenty-fifth Annual Orchid Show and Sale, March 24 – 25, 2012 Hours: 10 a.m. – 4 p.m. both days. It’s being held in Omaha, Nebraska. There is an entry fee to the Gardens ($6 Adults, $3 Children 6-12), but there is no additional charge for the show. Orchilim 2012: It is held in Limburg, Belgium from April 6-9, 2012. Orchid Heaven: An exciting gardening event will be taking place the weekend of April 28th & 29th here in Austin, TX. The Heart O’ Texas Orchid Society, founded in 1961, is proud to present the 41st Annual Orchid Show and Sale at the Zilker Botanical Gardens/Austin Area Garden Center. The major varieties of species and hybrid orchids that grow well in Texas will be for sale, as well as free cultural information sheets to help you keep the items you purchase thriving. Admission to the event is free and the public is encouraged to attend. Zilker parking is $3.00 per vehicle. Donations to support these educational efforts of the Heart O’ Texas Orchid Society are appreciated. They have monthly meetings at Zilker Gardens Center on the first Tuesday of the month at 7:00pm, so no need to wait until April! San Jose Orchid Exposition: It is held from July 1-3 in 2012 at San Jose, Japantown. It offers exotic orchids from around the world priced in between $15 to $35. The entry is free. It also offers visitors an opportunity to interact with professional orchid growers. Peterborough International Orchid Show: It is held from July 6-8, 2012 at Peterborough, Cambridgeshire, United Kingdom. Australian Orchid Conference: It is held in Perth, Western Australia from 11th to 16th September, 2012. It exhibits variety of orchids from commercial and amateur orchid growers. Gothenburg International Orchid Show: It is held in autumn of 2012 in Gothenburg, Sweden. Orchid growers from all over the world are expected to participate in the show.